That is to say, this applies to residents of departments from Manche to Mayotte (the overseas departments all have three-figure numbers starting with 97). The deadlines for other parts of France have now passed. As usual, internet declarations are at impots.gouv.fr - simply click Je déclare en-ligne. 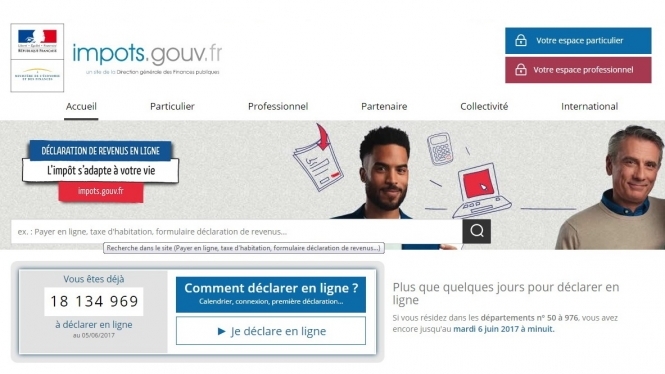 However it is not possible to declare online if this is your first year declaring income in France, as you need certain numbers from your last avis d’imposition tax statement. This year internet declarations are obligatory for those whose revenu fiscal de référence last year was more than €28,000. For an overview of French income tax see our helpguide to the French tax forms, priced €12.50, at this link.